Categories: Educating Others, Infertility to Adoption, About Adoption, How to Adopt, Making the Decision. September, 2010: Adopting received the Mom’s Choice Award gold medal for family-friendly Adoption books. 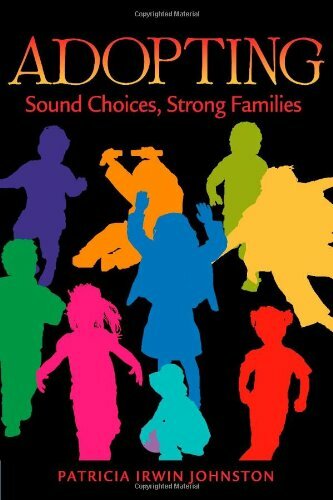 May 28, 2009: Adopting: Sound Choices, Strong Families won the Benjamin Franklin Award presented to the best 2008-published book in the field of Self Help by the Independent Book Publishers Association. If you are trying to decide whether to adopt at all, or how to adopt, or from where, or what kind of child to adopt, this book will walk you through making those decisions.